Violence is an ordinary part of everyday life in Afghanistan. It starts at a child’s birth, when families and society begin the process of honoring children by gender. In many families the birth of a son is celebrated, while the birth of a daughter is bemoaned. Sons are showered with love, respect, better food and better health care, while the girls will get nothing. Every Afghan girl has experienced some kind of gender-based violence. My sister’s friend Mariam, like many women, has suffered because she was born a female. When she was born, her father left the family for a month—the first month of her life—because he did not want a daughter. He was mad at his wife over it. This was very difficult for Mariam’s mother who needed help with her newborn infant. As the years went by, Mariam grew up and started school. She faced many problems because her brothers and father did not want her to go to school—because she was a girl. But Mariam was a very hard worker and she finished school and started attending university. She got a part-time job teaching mathematics. She was earning money for herself and her family, yet her family still tried to prevent her from continuing her university studies. Mariam complained to the local police and finally she was allowed to study mathematics at her university. Mariam is now married. But the marriage was arranged, a forced marriage. She had been teaching math at a Kabul high school, but now her husband forbids her to teach. He believes women should take care of the house and the family. This is a kind of gender violence. I believe women deserve equal human rights and we must support women for our abilities beyond the home and family. Women are capable and strong and society needs to be able to see this. It is also important that the government address policies to decrease violence and result in fairness for women. 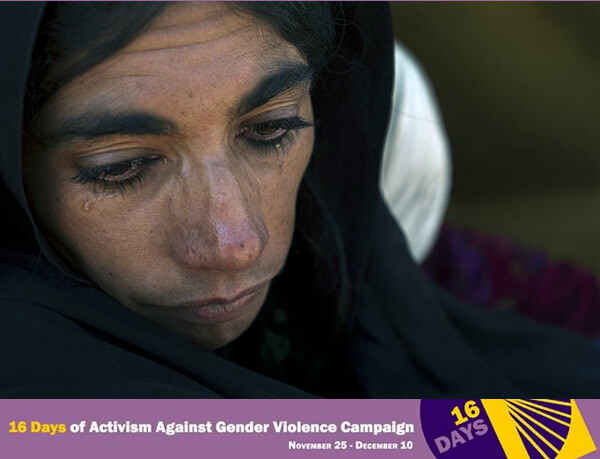 Change for Mariam will only start to happen when Afghan people and the government demand that gender violence stops. I am very happy that I read your writings. It is a sad story to hear about violence against women but what should we do that we can’t ignore ongoing facts. I agree with your sentence ** Every Afghan girl has experienced some kind of gender-based violence ** I know but we all need to do our parts and decrease it if not in other’s life at least on own lives. Your writing and our fellows writings is the start of a big change. Thanks for writing Fariba jan.